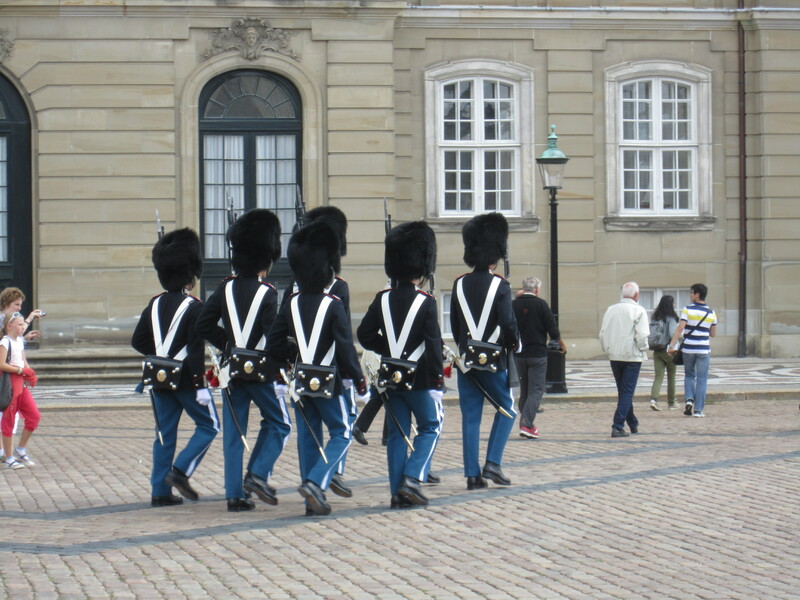 Review: A relaxing read, especially in the Rosenborg Castle cafe on a rainy day in Copenhagen. The authors examine Danish culture and its effect on how children in Denmark grow up. The advice they provide is not just applicable to parents but to anyone seeking to live a less stressful life. They observe that Danes practice rational optimism, not necessarily ignoring difficult circumstances but finding a silver lining. The importance of spending plenty of time outside and keeping up social connections is also emphasized. 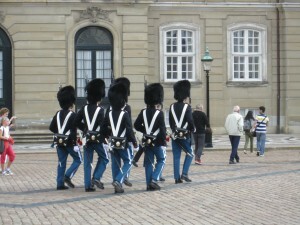 I was interested to read about the role of Denmark’s royal family in the education system. Crown Princess Mary spearheaded an anti-bullying initiative that more than 90% of Danish teachers would recommend to other educators. A quick and interesting read. Review: An entertaining read that passed the time on the train between Copenhagen and a visit to Hamlet’s Castle Kronborg in Helsingor. Michael Booth is a British journalist married to a Dane who has spent time living in Denmark and traveled to the other Nordic countries. He analyzes how these nations differ from one another in terms of their history and culture. I enjoyed how he explored the individual and collective histories of the region and speculates about how past political upheavals, little discussed today, continue to shape Nordic culture. As a travelogue, the book is very funny as Booth struggles with visiting a Finnish sauna, joining a Danish choir and finding the right clothes for Norwegian National Day. The book becomes less enjoyable when the author’s personal biases prevent him from providing a balanced perspective on certain aspects of Nordic politics and culture. For example, Booth is strongly anti-monarchy and cannot conceive of why there is so much support for the Norwegian, Swedish and Danish monarchies. As a result, he focuses on the few republicans he meets rather than all the people who have more positive views of their royal family and could speak to their charity work or diplomatic role. There are other instances in the book when the author has real trouble looking beyond his own worldview. An entertaining book but it should be read alongside other perspectives about Northern Europe. Review: I bought this book at the Academic Bookstore in Helsinki last week and greatly enjoyed learning more about Finnish history and culture. The author is a British travel writer married to a Finn who explains the various periods of Finnish history with insight and humour. The Swedish and Russian influences are especially well explained. The book also contains an extensive discussion of Finnish food and drink, (which the author does not consider to be very good), and various points of interest in Finnish cities. There is a useful further reading section and Finnish film suggestions at the end. There are maps but the inclusion of a few phrases of the language would have been useful. A very helpful book for travelers and other readers seeking an introduction to Finland’s history. Review: A relaxing read, especially for a cozy evening in Copenhagen. This witty and beautifully illustrated book explains the Danish concept of Hygge and provides suggestions for incorporating more quiet moments of happiness into everyday life. I enjoyed the descriptions of Danish traditions including the cakeman at children’s birthday parties and the search for the almond at Christmas dinner. A breezy read, best enjoyed indoors with a hot drink. Review: I am pleased that I bought this book in Helsinki last month and read it in Iceland because it provides a fascinating portrait of how Finland was perceived by 19th century travelers. Each chapter is devoted to the reminiscences of a single traveler and there are a few famous figures including Lord Dufferin, the future Governor General of Canada. Although Finland was a Grand Duchy ruled by Russian Czars during this time period, the British tourists excerpted in the book describe a society with many similarities to 21st century Finland including gender equality (Finnish women were the first European women to receive the vote), a strong education system, breathtaking scenery, a comparatively egalitarian society and a thriving sauna culture. I was fascinated by the chapters devoted to the Baltic front of the Crimean War as these naval engagements are little known outside the region. An interesting and informative book, filled with the observations of 19th century tourists! Review: I bought this book at the Geysir gift shop in Iceland for the bus trip back to Reykjavik. The Icelandic born author, who has lived in many places around the world and written a blog about Iceland’s financial crisis, includes many entertaining anecdotes about Icelandic society including “the shower police” at public swimming pools, buses not always arriving on time and everything happening at the last minute. I would have liked a little more historical context and comparisons with other Nordic countries but The Little Book of the Icelanders is a fun read and a good introduction to Icelandic society for travelers. Review: A classic in Icelandic literature and perfect the flight back to Toronto on Icelandair. A stubborn sheep farmer is determined to maintain his independence and property at all costs, even if his goals lead to the breakdown of his family. The novel, which won the Nobel Prize for Literature, captures the atmosphere of rural Iceland with its sheep farms and mountains. It was interesting to read how the First World War was perceived in Iceland. There seems to have been a feeling of being remote from wider European events until “the Blessed War” led to skyrocketing demand for Icelandic wool and mutton, bringing small farmers out of poverty. Aside from the references to the war and the Russian Revolution, there is a timelessness to the narrative and a clear atmosphere of centuries of Icelandic farmers struggling to survive in an often hostile climate. Well worth reading, especially for visitors to Iceland. “But what is your affair in Elsinore? 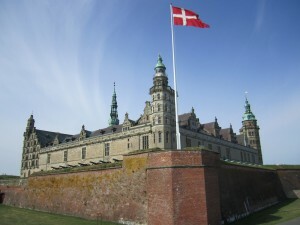 When Shakespeare wrote Hamlet around 1600, Kronborg Castle in Helsingør (Elsinore), Denmark was the most famous royal residence in Northern Europe. King Frederick II rebuilt Erik of Pomerania’s grim medieval castle of Krogen as a stately Renaissance Palace with an enormous ballroom for lavish court entertainments. 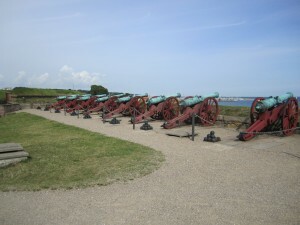 When the King proposed a toast, the cannons fired and the trumpets sounded. Frederick’s daughter Anna honeymooned at the Castle with her new husband, King James VI of Scotland (the future James I of England) in 1589-1590. 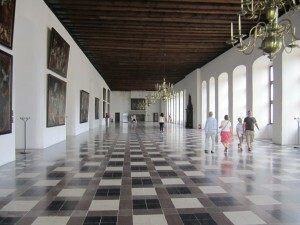 The royal couple had already been married by proxy at Kronborg and married in person at the Old Bishop’s Palace in Oslo but they decided to have a third wedding in the Kronborg ballroom followed by more celebrations. They stayed in what is now known as “the Scottish suite” before traveling to Copenhagen for the wedding of Anna’s sister Elizabeth to the Duke of Brunswick then sailing to Leith, Scotland. Anna’s brother, King Christian IV, continued the building program at Kronborg, making additions to the chapel including a closed royal box so that he could nap unobserved during church services. How did Frederick VI and Christian IV finance their building program and royal festivities? 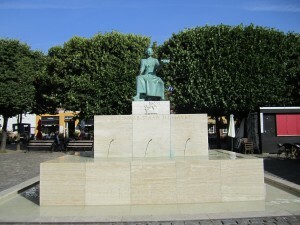 From 1423 to 1857, the monarchs of Denmark charged “sound dues” to any vessel passing through the sound between Denmark and Sweden to enter or leave the Baltic Sea. 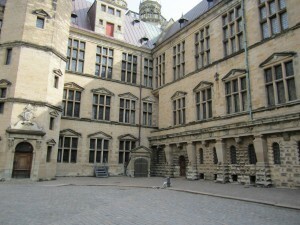 These tolls were the chief revenue source for generations of Danish Kings, allowing them to maintain the most sumptuous court in Northern Europe. Attitudes toward the sound dues varied among Europe’s merchants and sea captains. A 1585-1586 German atlas praised the Kings of Denmark for keeping pirates out of the Baltic stating, “Denmark, which owns no gold mines, does however possess something no less valuable in the Sound, whose waters flow with gold, for all ships must pay toll in gold to the King, who in return, by preventing the ungodly assaults of pirates, reserves the use of the sea for the benefit of merchants. (Quoted in David Hohnen, Hamlet’s Castle & Shakespeare’s Elsinore , p. 10) ” The heads of captured and executed pirates were displayed on the Kronborg battlements. The era of sound dues finally came to an end in 1857 when an American merchant vessel refused to the pay the toll. The American government declared that Sound Dues dated from “a remote and barbarous age, even before the discovery of America” and that “they apply exclusively to the nations of Europe (Quoted in Hohnen, p. 109).” The United States’s refusal to pay the Sound Dues, however, encouraged European nations to do the same. Denmark received a final payment from all maritime nations that traded in the Baltic Sea but the monarchy permanently lost its most lucrative source of income. The era of lavish entertainments at the Danish court had come to an end. 1) Amalienborg was once home to four of Copenhagen’s noble families but after the Christiansborg Palace burned down in 1794, the royal family moved in. 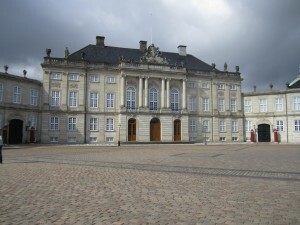 Today, Amalienborg is Queen Margrethe II’s official winter residence and a museum devoted to Denmark’s Kings and Queens of the House of Glucksborg from Christian IX and his consort Queen Louise, who became known as the in-laws of Europe because of the illustrious marriages of their children in the 19th century, to the present day. The museum reveals the daily lives of Denmark’s recent Kings and Queens, reconstructing their rooms such as Queen Louise’s drawing room and her son Frederick VIII’s study with personal objects. There are photographs from the family gatherings hosted by Christian IX and Queen Louise that brought the Russian, British, Greek, Danish and Norwegian royal families together in the late nineteenth century. Portraits, costumes and royal jewels are also on display. Photography is not permitted without a special permit but richly illustrated exhibition guides are sold in the gift shop, which also stocks royal history books that are difficult to find elsewhere. 2) The current Christiansborg palace was built between 1907 and 1928 after Thorvald Jørgensen’s design won an architecture contest held to determined the future of the site. Today, Christiansborg is the seat of the Danish parliament and contains the Prime Minister’s Office and Supreme Court in addition to royal reception rooms, the palace chapel and stables. 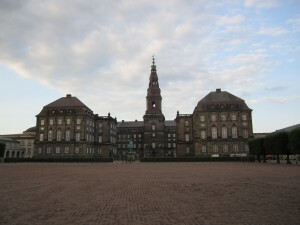 Christiansborg is the only building in the world that houses all three branches of a nation’s government. The royal reception rooms and stables are open to the public and there are guided tours of parliament. The balcony of the castle tower provides a scenic overview of Copenhagen. Since 1924, the ruins of previous palaces that once stood on this site have also been open to the public. The ruins date back to 1167, when Bishop Absalon of Roskilde built his residence on the site. Equestrian statues of Christian IX and his predecessor Frederick VII stand outside Christiansborg. 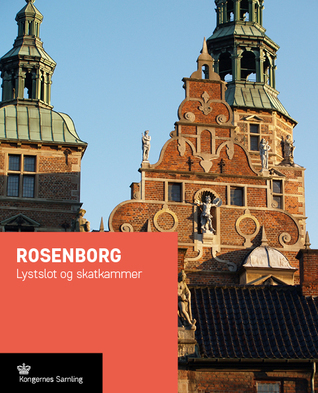 3) Rosenborg Castle was originally a royal summer residence, built in 1606 as part of Christian IV’s extensive building program for the city. 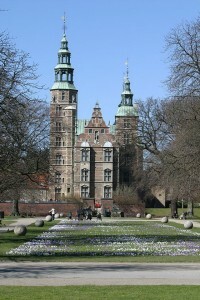 Rosenborg remained a royal residence until 1710. After the reign of Frederick IV, Rosenborg only housed royalty in times of crisis such as the 1801 Battle of Copenhagen when Horatio Nelson destroyed much of the Danish and Norwegian fleets. 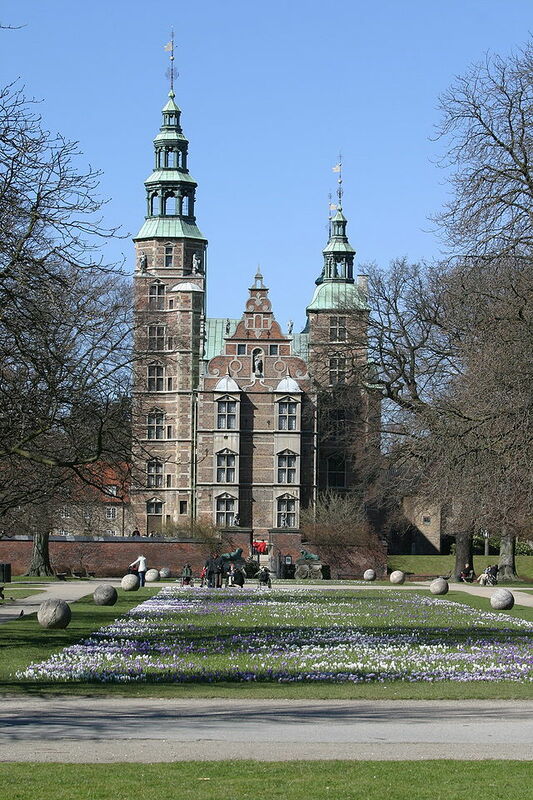 Today, Rosenborg houses Denmark’s Crown Jewels, which date from the eighteenth century, and other regalia. The museum collections are devoted to Denmark’s monarchy between the 16th and 19th centuries. The castle has been open to the public since 1838. Next: Following in the footsteps of Shakespeare’s Hamlet at the Kronborg in Helsingør, Denmark. 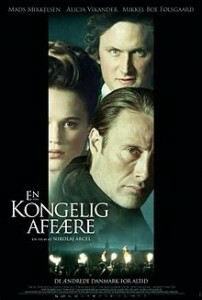 The 2012 Danish film, “En Kongelig Affaere,” released in English speaking countries with subtitles as “A Royal Affair” is inspired by the life of Dr. Johann Struensee, who became personal physician to King Christian VII of Denmark and lover to his wife, Queen Caroline Mathilde, youngest sister of King George III of Great Britain. The film contains excellent performances and production values and has been nominated for Best Foreign Language film at the 2013. At the centre of the story is Caroline Mathilde, who risks her position and access to her children by becoming involved with the royal physician and contributing to his political influence over the King. Caroline Mathilde’s bold decision to take control over her personal and political destiny may appear unusual for a Princess raised to expect a dynastic marriage but the Queen of Denmark’s affair was part of broader pattern of royalty questioning the value of politically motivated unions in the eighteenth century. As romantic marriage became an increasingly popular ideal during the Enlightenment, Princes and Princesses critiqued their own arranged marriages and searched for opportunities to engage with the new ideals of personal fulfillment and autonomy. One of the most articulate critiques of dynastic marriage in the late eighteenth century, was provided by Caroline Mathilde’s brother-in-law, Charles William Ferdinand, Duke of Brunswick. The Duke explained to the German writer Massenbach, “Only private persons can live happily married, because they can choose their mates, Royalty must make marriages of convenience, which seldom result in happiness, Love does not prompt these alliances, and these marriages not only embitter the lives of the parties to them, but all too frequently have a disastrous effect upon children, who often are unhealthy in mind and body (Reprinted in Flora Fraser, The Unruly Queen: Life of Queen Caroline, p. 15). The Duke of Brunswick spoke from personal experience. He was indifferent to his wife, Princess Augusta of Great Britain, three of their four sons were declared unfit for military service, and their daughter, Caroline of Brunswick became renowned for her eccentricity as consort of the future George IV of Great Britain. The Duke and Duchess of Brunswick were Caroline Mathilde’s most supportive relatives when her affair with Dr. Struensee was discovered, visiting her in Celle after her expulsion from the Danish court. King George III was not nearly so sympathetic to his sister’s plight. The King put aside his own romantic feelings for Lady Sarah Lennox to make a suitable dynastic marriage to Princess Charlotte of Mecklenburg-Strelitz. 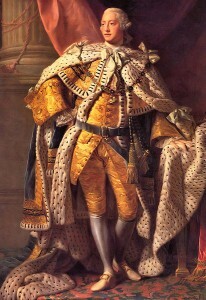 “I am born for the happiness or misery of a great nation,” the King wrote, “and consequently must often act contrary to my passions (Stanley Ayling, George the Third, p. 54).George III’s acknowledgement of his “passions” demonstrated that even the most traditionally minded monarch of the late eighteenth century had been influenced by Enlightenment ideals of personal fulfillment. King George was appalled that his siblings did not share his interest in self sacrifice for the good of crown and country. When his brothers married commoners against his wishes, the King enacted the Royal Marriages Act of 1772, decreeing that all male line descendants of King George II must have the monarch’s permission to make a legal marriage. The Act affected the legality of centuries of royal marriages and is currently in the process of being abolished as part of the 2012-2013 Royal Succession reform bills in the United Kingdom and Commonwealth. For more information about George III’s siblings and their marriages, see A Royal Affair: George III and his Troublesome Siblings. British Princes and Princesses were not the only royal personages seeking personal fulfilment in the time of the Enlightenment. 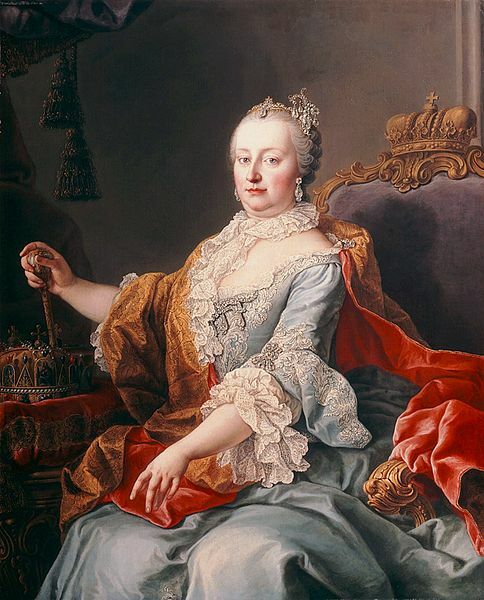 Empress Maria Theresa of the Hapsburg Empire allowed her favourite daughter, Archduchess Maria Christina to marry the man she loved, Prince Albert of Saxony, Duke of Teschen but expected her other daughters to make dynastic marriages to Europe’s Roman Catholic rulers. The Empress’s younger daughters found their political marriages difficult to accept. 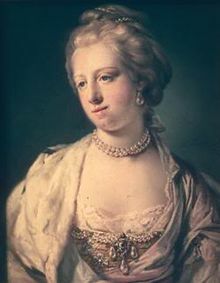 Archduchess Maria Amalia became estranged from her mother after she was forced to put aside her feelings for a minor Bavarian Prince to marry Ferdinand, Duke of Parma in 1769. Although Maria Theresa’s youngest daughter, Maria Antonia (Marie Antoinette) eventually managed to create a harmonious marriage with her husband, King Louis XVI of France, she developed a strong romantic attachment to the Swedish courtier Axel von Fersen and allowed him to influence her politically after the outbreak of the French Revolution in 1789. 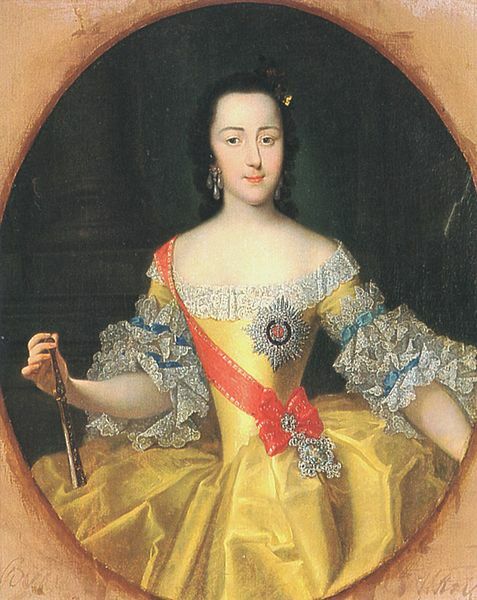 Perhaps the most successful example of an Enlightenment Princess taking control of her political and personal destiny was Princess Sophia of Analt-Zerbst who became the Russian Empress Catherine II “the Great” in 1762. Her husband, Emperor Peter III, had much in common with Caroline Mathilde’s husband, King Christian VII of Denmark. Like Christian, Peter had been abused by his Governor as a child and retreated into an inner fantasy world. Both Peter and Christian neglected their wives and exhibited symptoms of mental instability but were capable of initiating unprecedented political reforms. Catherine had better political instincts than Caroline Mathilde and waited until Peter III had alienated the military and the Russian Orthodox Church before staging a coup with the assistance of her lover, Gregory Orlov. As an Empress dependent on the support of the nobility, military and church, Catherine was unable to implement the full range of her Enlightenment ideals in the political realm but achieved autonomy over her personal life that was unknown to the other princesses of the late eighteenth century. Queen Caroline Mathilde of Denmark’s romance with Dr. Johann Struensee, which was dramatized in the 2012 film, “A Royal Affair,” was in keeping with the impact of Enlightenment ideals on late eighteenth century royalty. Caroline Mathilde and her contemporaries questioned the value of dynastic marriage. While her brother King George III sacrificed his personal feelings to make a traditional royal marriage, a number of other royal personages influenced by Enlightenment ideals sought personal fulfillment and autonomy with varying degree of success. In 1948, King Farouk of Egypt reputedly predicted, “The whole world is in revolt. Soon there will be only five Kings left — the King of England, the King of Spades, the King of Clubs, the King of Hearts, and the King of Diamonds.” The First World War had seen in the overthrow of the German, Austrian and Russian Imperial Houses and the Second World War destabilized another series of monarchical governments including that of Egypt. King Farouk’s prediction that only the British monarchy and the Kings pictured in decks of cards would survive this unrest, however, turned out to be untrue. The number of constitutional monarchies in Europe has been constant since Juan Carlos I became King of Spain in 1975. In addition to Spain, the United Kingdom, Belgium, the Netherlands, Denmark, Sweden and Norway all have reigning Kings or Queens. The Grand Duchy of Luxembourg and the principalities of Lichtenstein and Monaco also have titled leaders. Despite this plethora of royalty in Europe, the English language media focuses its coverage on Queen Elizabeth II and her family with only occasional attention to the wealth, weddings or scandals of the continental royal families. In The Great Survivors: How Monarchy Made It Into the Twenty-First Century. Peter Conradi, the author of The King’s Speech, compares all the surviving royal families of Europe. Conradi’s masterful work reveals the different paths that the institution of monarchy has taken in the 20th and 21st centuries and the similar challenges faced by all Europe’s crowned heads. Rather than devoting a chapter to each European royal house, Conradi approaches the material thematically, comparing such topics as succession law, a typical day of royal duties for a European monarch, wealth and pageantry, marriage and the education of heirs. This approach reveals the full range of royal customs throughout Europe, challenging popular perceptions in the English speaking world regarding how monarchy works. For example, the iconic televised coronation of Queen Elizabeth II in 1953 created the popular perception that the legitimacy of a King or Queen depends on a ceremony of this kind. In fact, the House of Windsor is the only royal dynasty where the King or Queen experiences a coronation. The other monarchs of Europe are sworn into office. In Spain and Norway, the royal regalia is visible during this investiture but the new monarch is not crowned in manner of the monarch of the United Kingdom. Conradi’s approach also reveals that numerous events in royal history considered unprecedented when they occurred in the United Kingdom actually had clear antecedents among the continental royal houses. 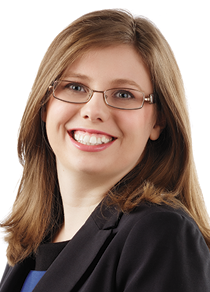 In 2011, Prince William became the first direct heir to the British throne to marry a woman from a middle class background with little controversy but a generation earlier, the future Kings Carl Gustav of Sweden and King Harald of Norway challenged the traditions of their families and their countries to marry middle class brides. For the future Queens Beatrix of the Netherlands and Margrethe of Denmark, there few available princes of their generation and marriage to a commoner was a near certainty. The Great Survivors contains an enormous amount of material and Conradi generally does an excellent job of organizing all this information. The only place where the book briefly loses it way is the chapter about royal mistresses, children out of wedlock, and complaisant husbands. In this section, Conradi moves away from the current reigning houses to look at some the royal scandals that allegedly took place in eighteenth century Russia. With so much material to cover concerning the royal families that reign to the present day, there is little room for the inclusion of additional dynasties. In contrast to the rest of the book, the discussion of Russia’s eighteenth century Empresses cites unreliable source material and could have been easily omitted from the narrative. The Great Survivors is an excellent introduction to the full scope of current European royal monarchy. Peter Conradi places all the current reigning houses of Europe in their proper historical context and compares how they have achieved success in the twentieth and twenty-first centuries, The book ends with informed predictions about the future of monarchy in Europe, providing convincing arguments that this form of government remains effective to the present day.